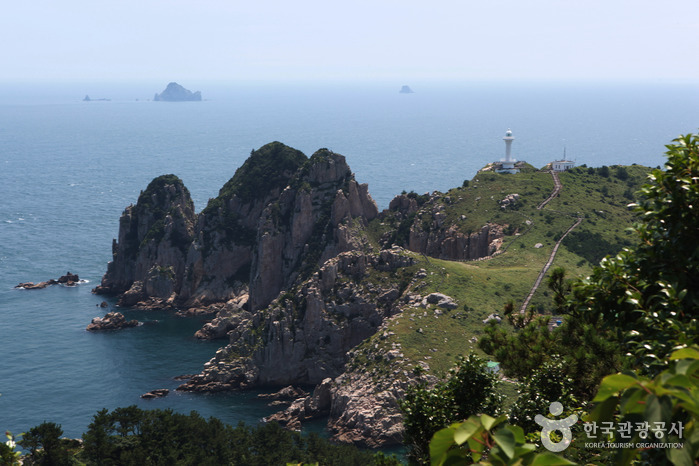 A short, hour-long ferry ride from Tongyeong Port will take you to the best attraction of Hallyeo Maritime National Park, Somaemuldo Island. 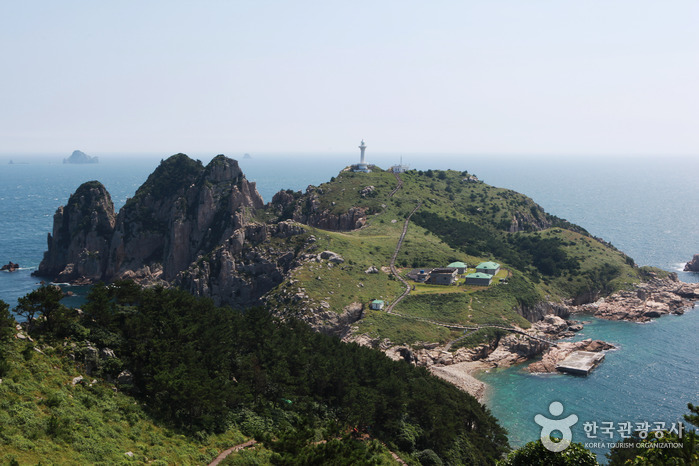 Located at the end of the Korean Peninsula, the island is well known for its oddly shaped rocks on the coastal cliffs, the clear blue sea, and the beautiful Deungdaesum Island, which is often shown in movies and commercials. 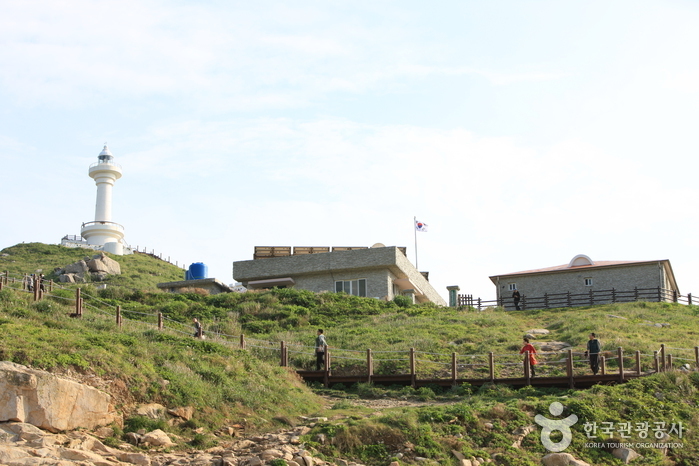 The highlight of Somaemuldo Island is Deungdaesum Island, also called 'Haegeumdo.' This island is so small that it takes only 20 minutes to walk around. 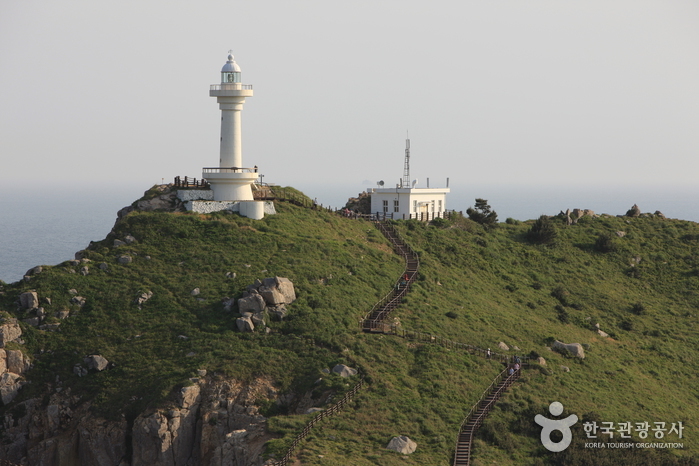 The white lighthouse on the hill and green grass make for romantic scenery. The lighthouse, which is the only facility on the island, was bulit by Japan during the Japanese Colonial Period (1910-1945). The 150-meter waterway from Somaemuldo Island to Deungdaesum Island is where the miracle of Moses takes place. Two islands are connected with a gravel road twice a day when the tides ebb. Deungdaesum Island, covered with wild flowers, is especially fantastic. 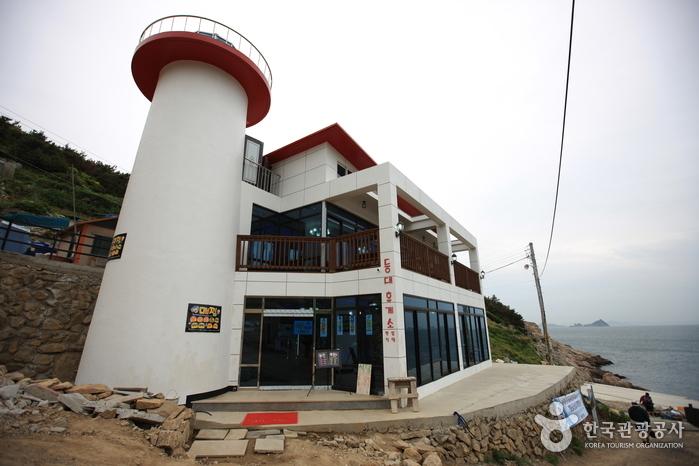 Take a bus from Gangnam Express Bus Terminal to Tongyeong Intercity Bus Terminal. Take a bus bound for Donam-dong from Tongyeong Bus Terminal.